We've partnered up to bring you some fascinating mini-books that are super interactive. Book #1: Fairies is 8.5" tall X 6.75" wide with a 3.5" spine. 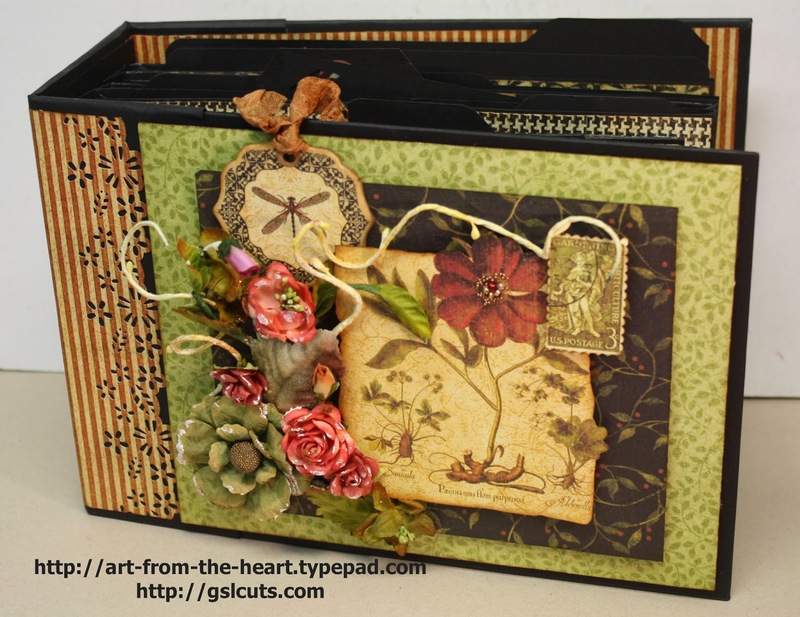 It has 6 pages, all interactive and all include a top pocket to add cardstock mats. 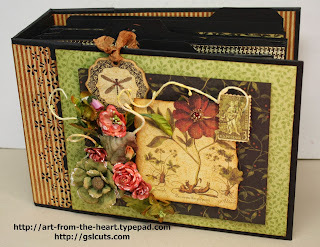 Use your own stash of paper and embellishments to decorate the cover and pages. As a PDF pattern with pre-cut cardstock base pages and pre-cut pockets, flips and waterfalls. The pre-cut pages are available in black or kraft. We're both so excited to be offering this to you. Choose color from drop down menu before selecting Add to Cart button. This book measures 9.5" wide X 6.25" tall with a 3.5" binding. purchase our Graphic 45 Botanicabella paper pack. Three great ways to create your own mini-book! Creating Junque Journal Ephemera . . .
Junque Journal Embellies . . .